1. Know what you’re getting yourself into. NEWS FLASH — it’s not. It might be for some, I mean, all skin types and pigments are different. However, according to Google, Microblading is most definitely PERMANENT MAKEUP. 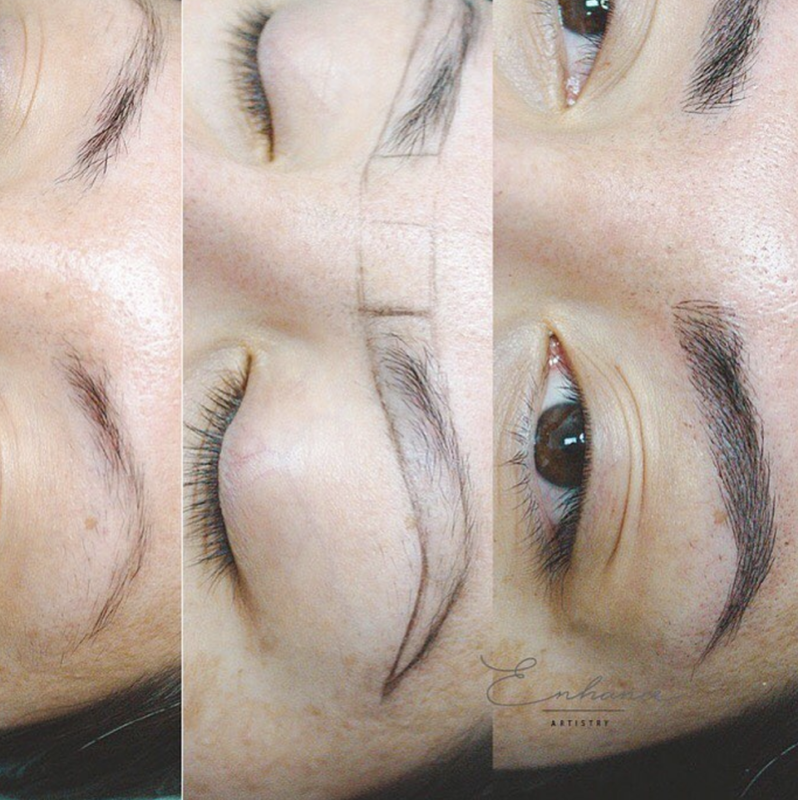 A lot of artists say that microblading will fade in about a year. K cool! So if I don’t like it, it’ll be gone in a year. I can live with that. That’s not a huge commitment! It will begin fading in a year… which potentially means you’ll need another touch up or you’ll need to get it removed. It’s been two years, I’ve had 8 laser tattoo removal sessions, 4 microneedling sessions and my microblading is still very alive. It literally will not die. Is this a normal experience for everyone? 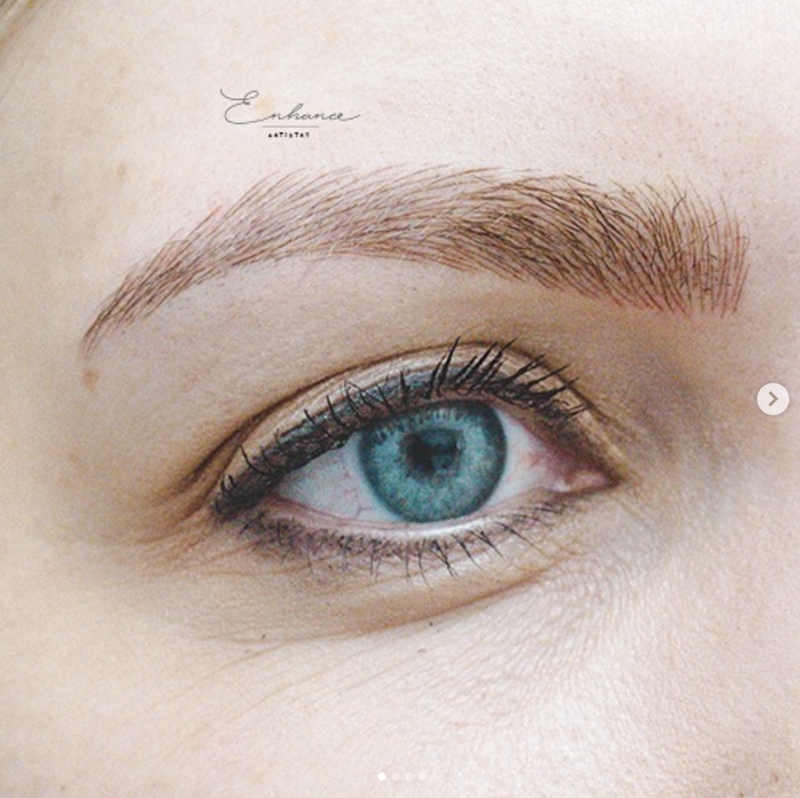 I’m not sure, but I will tell you that a nurse at Gateway Laser ( the largest dedicated cosmetic laser center in the world), told me they’re seeing more and more laser tattoo requests for microblading. 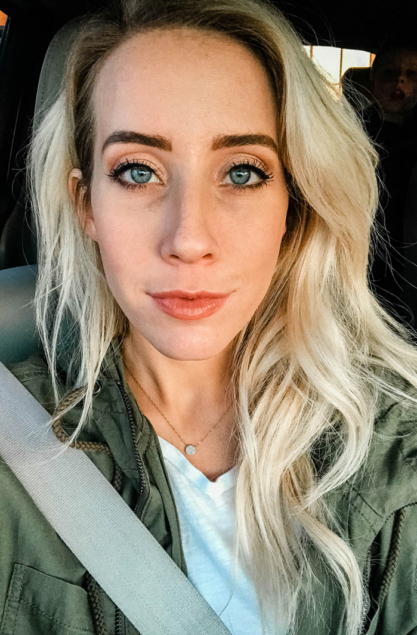 You can see how microblading changed my eyebrows and why I’m removing it in this post HERE and what the removal process looks like in this post HERE. But here’s the thing: I’m not against microblading and I fully intend to get it done again! SAY WHAT?! Yes it’s true. It’s because I now know what to look for, what questions to ask and exactly what I want. That my friends, is power. And today, you’re getting back your power! So please, just know what the heck you’re signing up for before you put permanent makeup on your face. 2. Have an opinion on the shape you want. There are a million to choose from! There will always be trendy eyebrow shapes and there will always be people telling you that this one or that one will be best for you! My suggestion is to pick the shape that you were born with and just enhance it. If you have a soft arch – keep it! Enhance that soft arch and rock the crap out of it. Microblading a higher arch is going to be great for a time until the styles change or your microblading fades and you have zero hair to cover anything up. Here’s a great picture of the shape my artist had given me and my natural shape – I finally just let it grow in because I couldn’t fathom the bi-yearly upkeep. Instead of getting my brows done right then and there, I should have used that session as a consult and taken those brows that were drawn on my face in black eyebrow pencil to my family and friends. If you have a microblader who is just enhancing your shape and staying within your natural brow shape, then I think you’re safe! 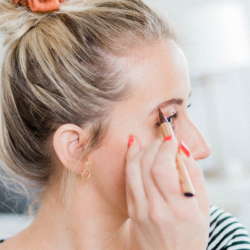 But if they want to raise your brows higher than your natural shape, change your arch or make you shave off your tails– use that as a red flag. THAT’S A MAJOR RED FLAG!!!! I’m not saying you shouldn’t take that new shape… but before you go into your session, have an open mind. Also, make sure you have an opinion on what you want. 3. 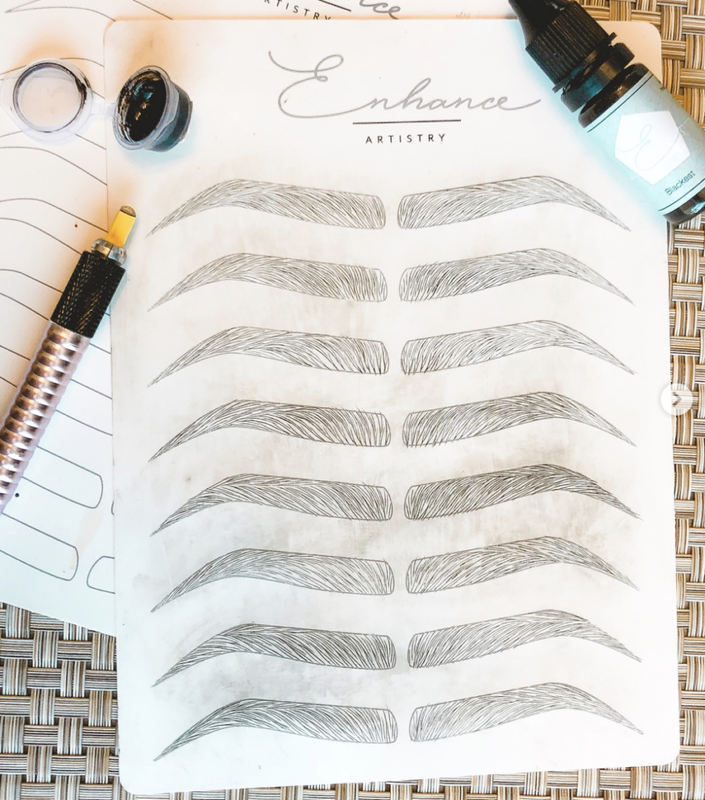 Do you know the difference between microblading and shading? Microblading is the art of placing strokes into the eyebrow area in an attempt to make the brows look more real. See how beautiful it can be?! This is my girl Tiffany from Enhance Artistry and she’s the only girl I’d EVER let touch my face again. Ever. Then we have shading, or what people call “powder-fill.” Have you heard of it? Shading is a stipling technique where the microblade is pushed directly down against the skin (as opposed to pulling or dragging the microblade across your skin). It’s used on those who have very sparse brows and need a more defined shape. It’s often done in combination with microblading, so you have the shadow underneath and then the stokes on top. Make sense?! Here’s a picture of shading. See how different it looks? It’s definitely a more bold brow. It’s important to know the difference here because it’s a completely different look. The cost of each are different and shading is much harder to remove. 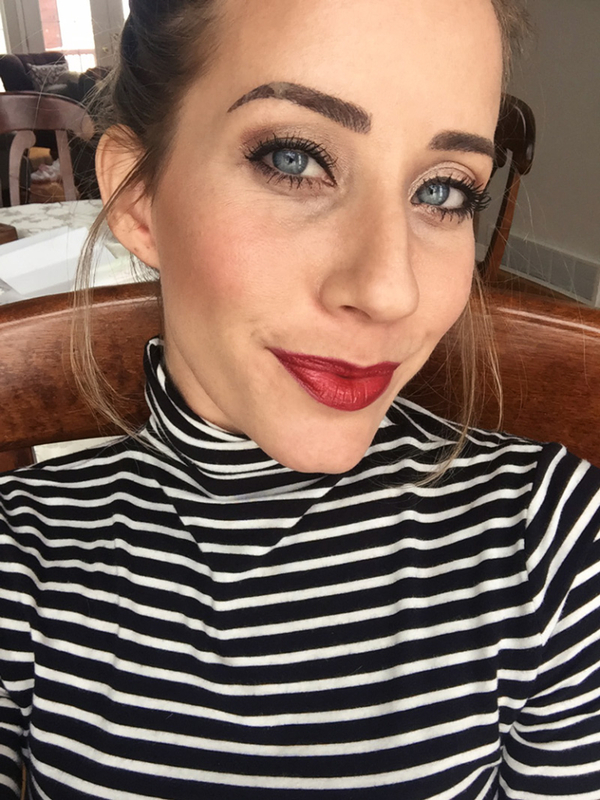 Unfortunately, I got the combo brow– the microblading and powder fill. I’m not sure if I knew that at the time? I just did what my gal recommended and certainly didn’t realize that shading was even more permanent than microblading. So, know what you’re getting yourself into and know your lingo because guessing on the spot is certainly what we’re trying to avoid here! 4. How to choose your microblader? This is a hard one! I researched the crap out of my first artist and still ended up unhappy. 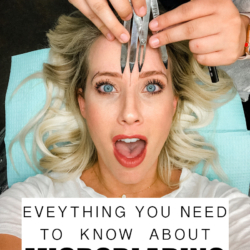 Now that there is more information on microblading, I think the first step is doing as much research as you can. Find someone with an Instagram account or portfolio that you literally DIE OVER. What certificates and training do they have? Do they practice? Do their clients look happy? Do you like their style? Do they all have the same shape, or is it custom to their face? If they can only do one shape… ehh don’t bother with them! You want an artist! Are they constantly learning new techniques? Do they post super edited photos only or do they show videos of their work? Be careful with artists who heavily edit their pictures. At the end of the day, you have to be the one to decide. I’d first make a consultation, even if you have to pay extra. Mine was literally the most painful thing I’ve ever experienced. EVER. And I’ve had four kids and three c-sections. Although this depends on your artist and what you’re getting done, I was not prepared for the pain! My gal wouldn’t use a numbing cream for the first pass…something about blood flow? I’m not really sure the reason, but it was PAINFUL! Microblading can cost anywhere from $250-$1500. Just because the artist is super expensive does not necessarily mean they are much better than the artist who is reasonably priced. However, you do get what you pay for… so I’d be leery of super cheap bladers. 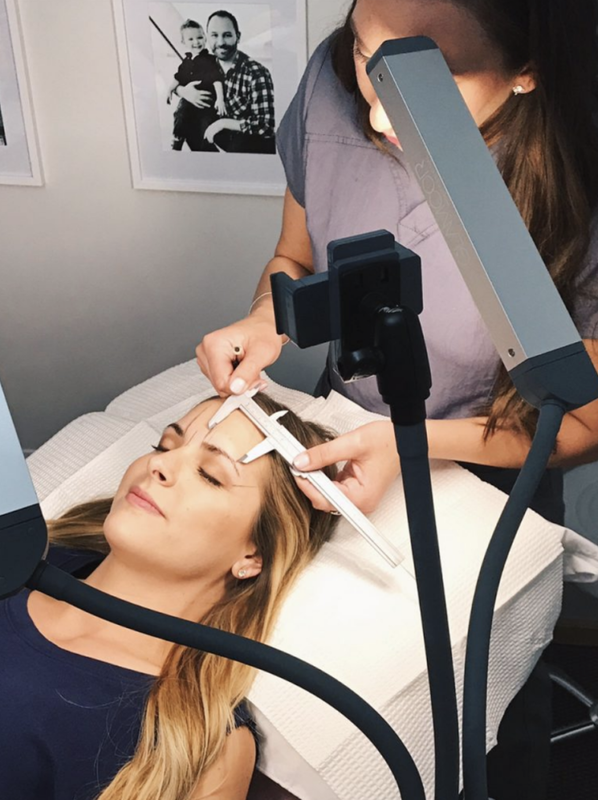 You can expect to pay around $500 for your microblading and make sure you ask about the touch up. 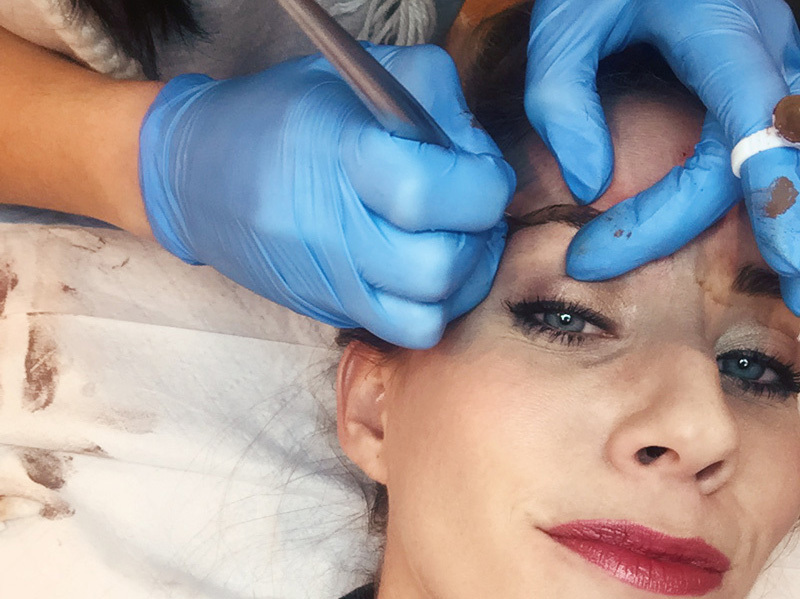 A touch up IS required after you get your first microblading treatment done. Some artists include this in their initial price, others make you pay separately. Make sure you know all the hidden costs AND if you’re getting micro shading, know that it’s going to cost you more. 7. Make sure you get mapped! 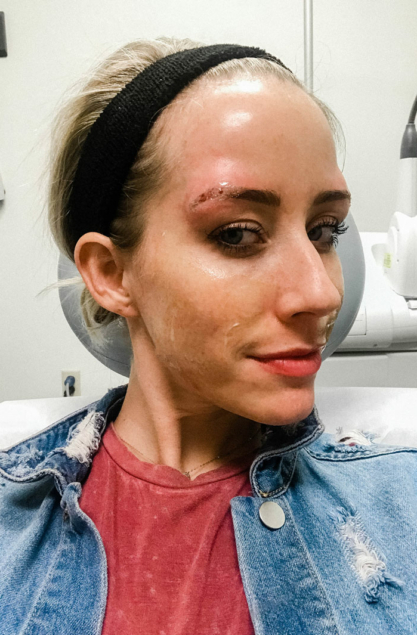 You should never let your artist eyeball your microblading. In my opinion, they should never deviate from your natural shape. We were all born with very specific anatomy and your natural brows fit YOUR face perfectly. They sit right above your brow bone, and mapping is precise and calculated. 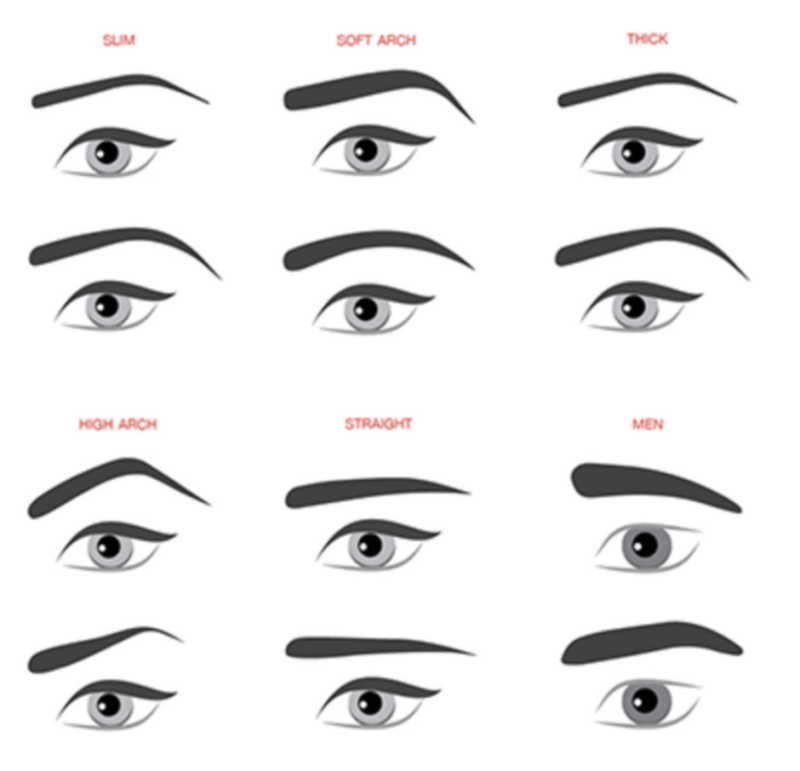 Do you need your brow shape slightly adjusted? Maybe! And that’s okay! But your artist should be able to enhance your natural shape so that when and if the pigment fades faster than you like or you choose not to keep up on it, you can just fill it in and no one will ever know the difference. Get mapped. Don’t let your artist be lazy and don’t let her draw on some random shape she thinks fits your face better. 8. Research pigments and ask your artist what kind she uses. There are two different types of pigments (at least as far as I know). 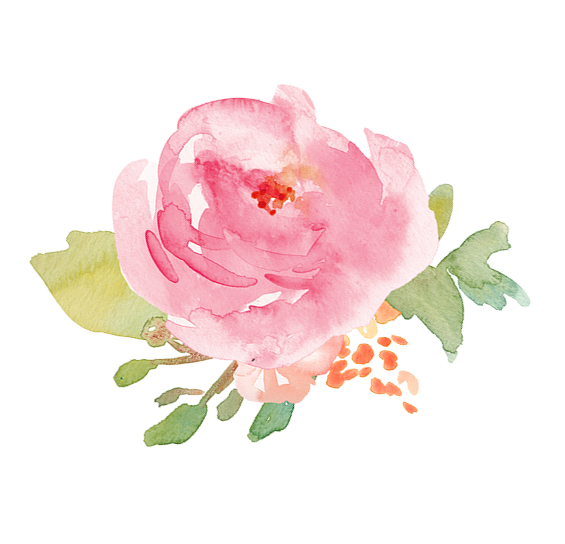 There are organic pigments, which generate brighter and richer color but fade faster (usually to a red). Then there are inorganic pigments, which are derived from minerals. There aren’t as many colors to pick from, but they aren’t prone to fading. 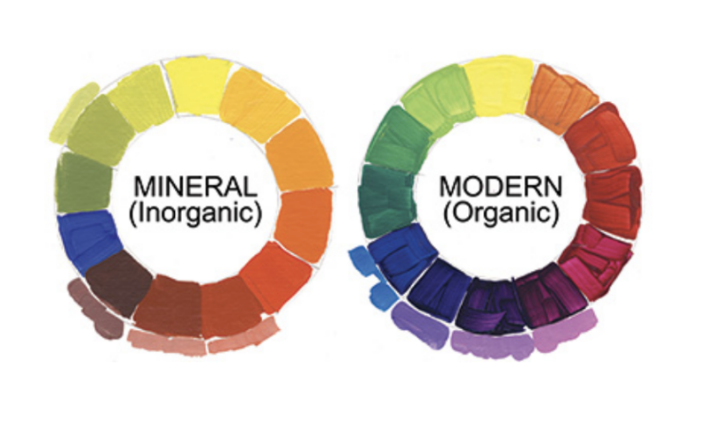 All pigments are not the same, so make sure you ask your artist what she uses and just gauge her confidence in them. If she’s any good, she’ll know what she’s talking about and you’ll quickly catch onto that. 9. Be mindful of your aftercare instructions. No long hot showers and sweaty exercise for 10 days is typically the rule for most. There are very important aftercare instructions that you need to follow and they vary from microblader to microblader. The first gal I went to said I needed to keep them bone dry. No working out, no showering, no ointments – NOTHING. A whole list of no’s. However, my sisters experience with Tiffany was VERY different. She was encouraged to wash her newly bladed brows with warm water 3-4 times a day. 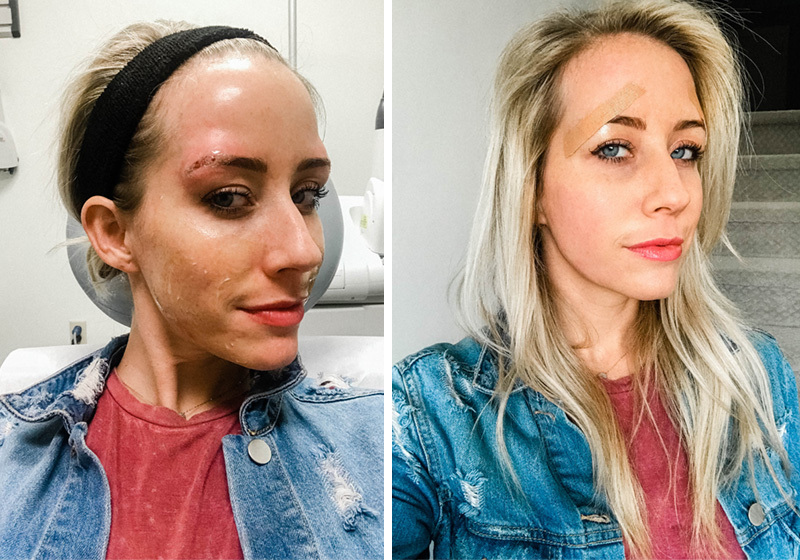 She used a healing ointment and her microblading never scabbed over while mine got all nasty and gross and peeled right off. Which way is right? Well, I’m inclined to say Tiffany’s way is right because my sister has had her microblading for over a year now and the color and strokes look brand new. Mine faded quickly. 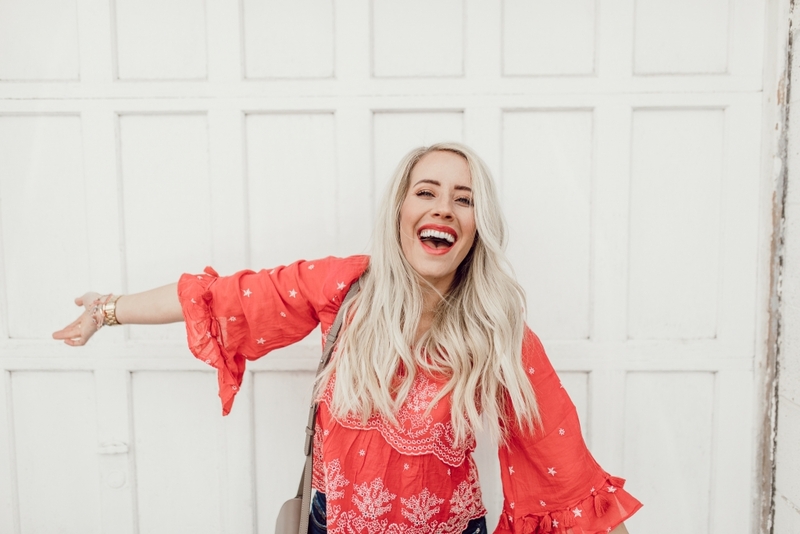 However, I’m not here to tell you what is right and wrong — just to give you a few things to note when looking for your artist! Be mindful of your aftercare instructions and ask lots of questions! She’s working for you, not the other way around. 10. Touch ups and maintenance. I really wish I had understood this whole part of the process. Microblading is a form of permanent makeup and in most cases, the term fade does not mean it will be gone. It means it will start going grey or red and you’ll need to get it touched up OR you will need to get it removed. Or, you’ll just live with it and fill in your eye brows yourself! 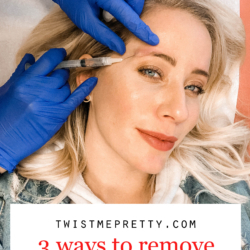 Microblading should last 1-3 years (still look good but not necessarily gone), and combo brows (the ones with the shading or powder-fill) will last 2-3 years. 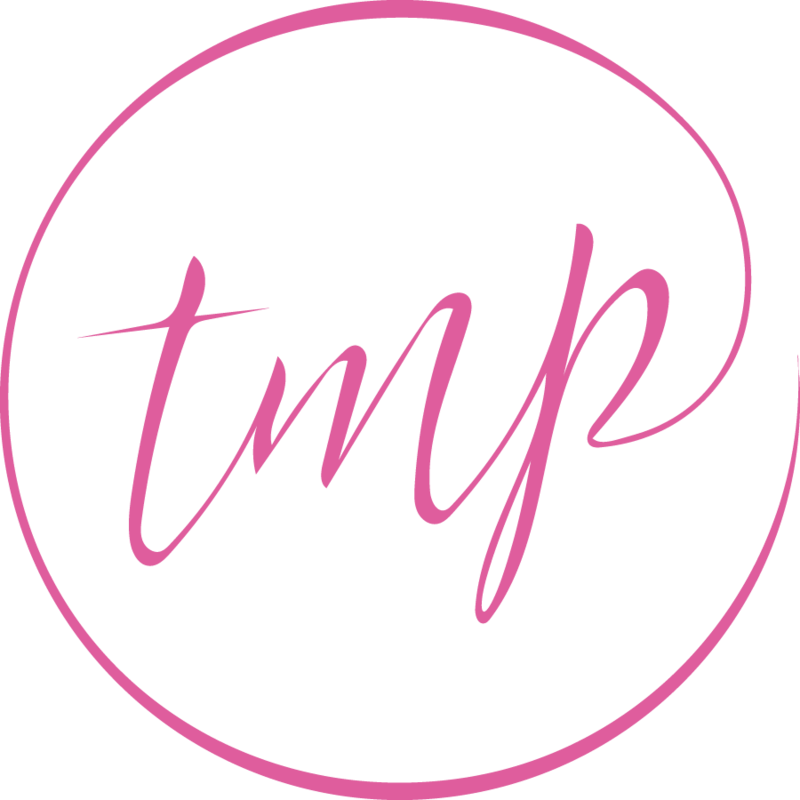 All permanent makeup is suggested to have yearly touch ups to enhance the color. Your initial appointment will require a touch up six weeks afterwards. You can see in the photo above my brows look like scabs? They peeled off and the color underneath was very dulll. My artist prepared me for that though and said it’s at the six week touch up that the strokes stay and the color is enhanced, which was true… for a couple of months in my case anyway. Depending on your artist, you can be prepared to scab or not. Either way, you need to touch up and maintain your color. WHOA. That was a LOT. Is it too much to ask for the perfect brows?! That’s all I want haha!! If anyone reading this is a microblader and I’ve said anything wrong or offended any of you – I apologize. 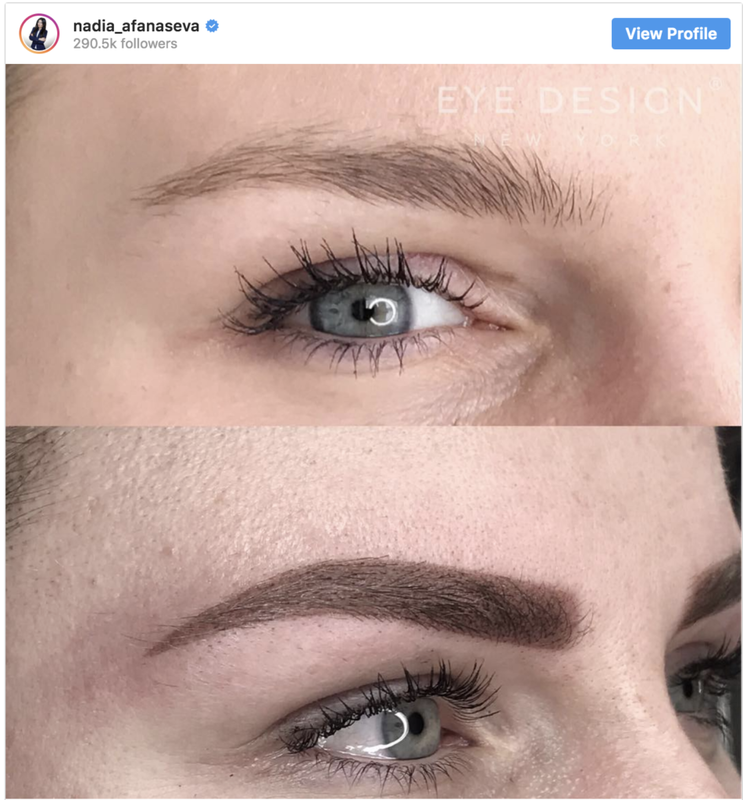 The purpose of this post isn’t to be right on all the things, but to give power back to the consumer so she can make an educated decision on whether or not microblading is for her. 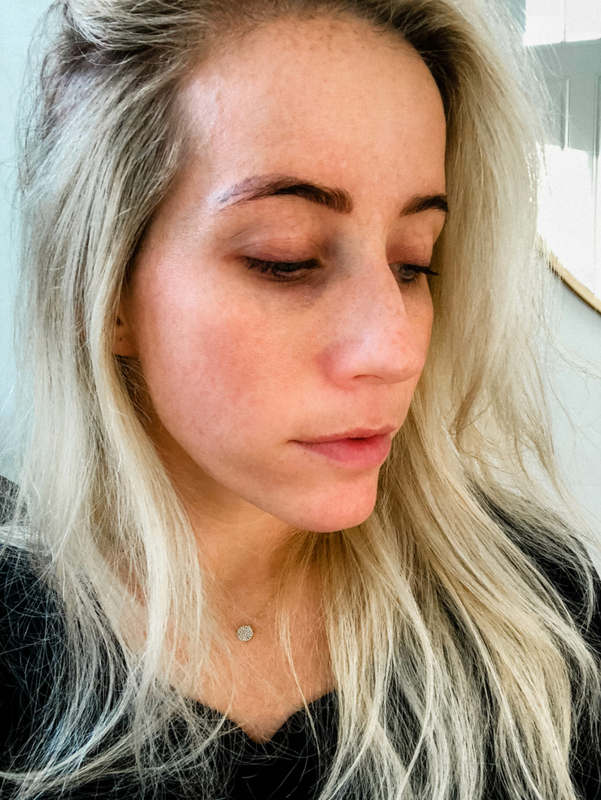 I’ve had A LOT of unkind things said about me and also my experience with microblading and I’ll just say this one last time — I hold myself completely accountable for having a bad experience and this post is not to give microblading a bad reputation. If you’re a great microblader, you have nothing to worry about!! Don’t you want your clients to know what they’re getting themselves into? Don’t you want them to ask questions and understand what they’re doing? I know I would! 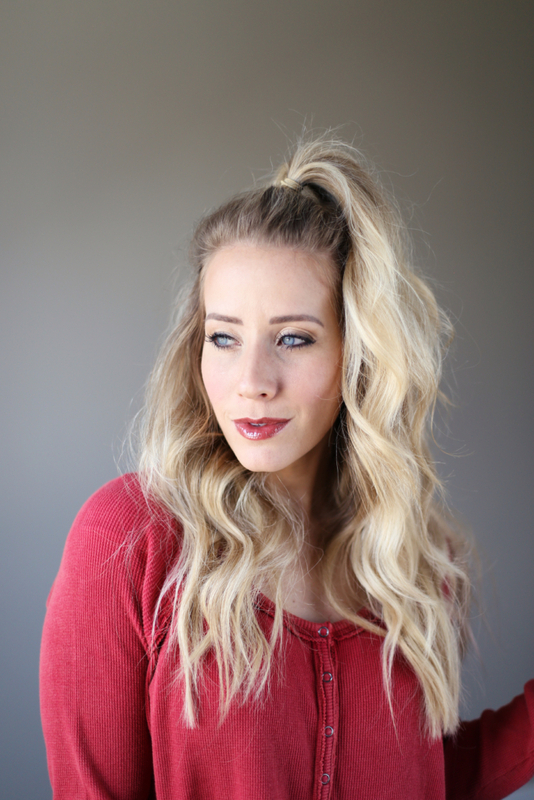 If you’d like to see how microblading changed my eyebrows and why I’m removing it, go ahead and click on my post here. 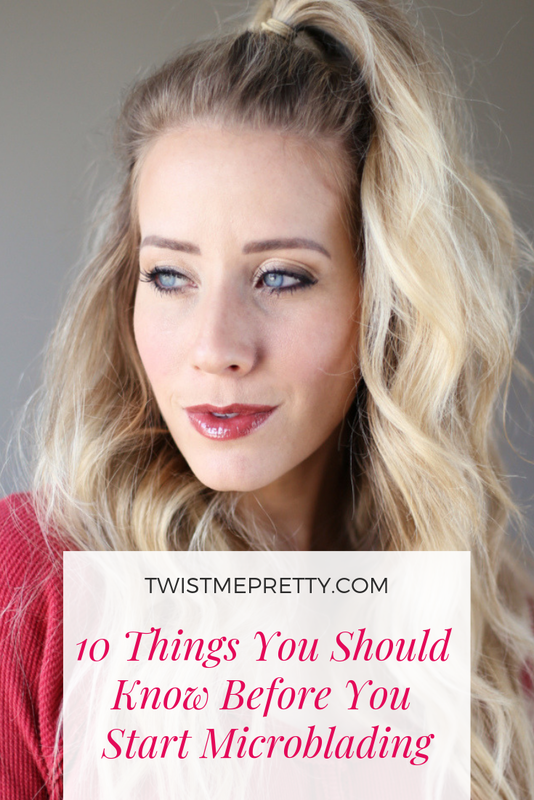 I hope these 10 Things You Should Know Before You Start Microblading helps you navigate your way to the best brows of your life! Maybe you’ve had them all along, maybe you want some microblading done or some shading, or maybe you just need a new brow girl who can help tint your color. Either way, I love you and wish you the very dang best on your journey to finding those perfect brows!